The protagonists (and target audience) are teenagers, so it does have some reference and similarities to the already popular Twilight and Harry Potter series (with the magic-stuff, backdrops, fantasy and antagonists). Some may say that it lacks originality and is cliché with its teen angst (while saving the world), nothing new. But I think with more movies coming, people tend to forget that movies are just that - nothing but recycled plots and storylines with different actors playing characters that have long been played before. What else is new? 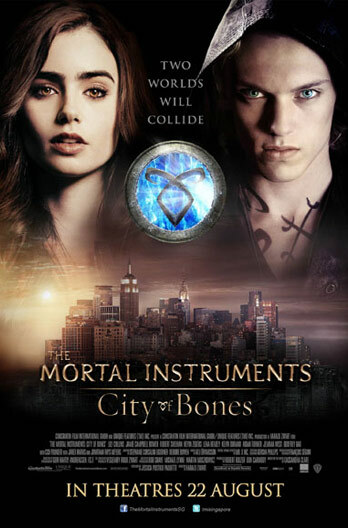 The cinematography for The Mortal Instruments: City of Bones is acceptable enough and the action scenes packed with enough action. Of course, if you are not into teenage fantasy, angst and romance (with action to boot), you might want to give this movie a miss. Otherwise I think that it makes a pretty entertaining movie, it may not be that fresh but at least it has its appeal. The actors that have taken up the characters do a pretty good job. I was surprised that Godfrey Gao was actually cast as Magnus Bane, but he did a decent job (and he looks much better than in the dramas he's acted previously; must be the Hollywood effect). 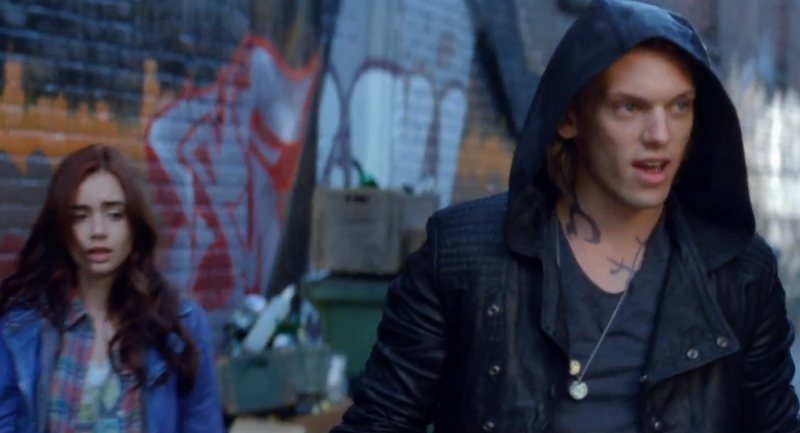 Jamie Campbell does a decent job being Jace, a "bad" boy (shadowhunter) with angst and a mouth to match the attitude (which does serve up some dry humor throughout the movie). The other characters did a pretty good job portraying their characters as well. Though Kevin Zegers as Alec seemed to have been overshadowed by the other actors, it was like his presence was not 'felt' and could have been done without. Of course, from a storyline perspective his character does have a role.